A mysterious alien being asks what will become of Shiki, asking if he will become the universes “legendary hero or become the demon king.” Rebecca and Happy explain that they are “B-Cubers.” They make a living selling their content. 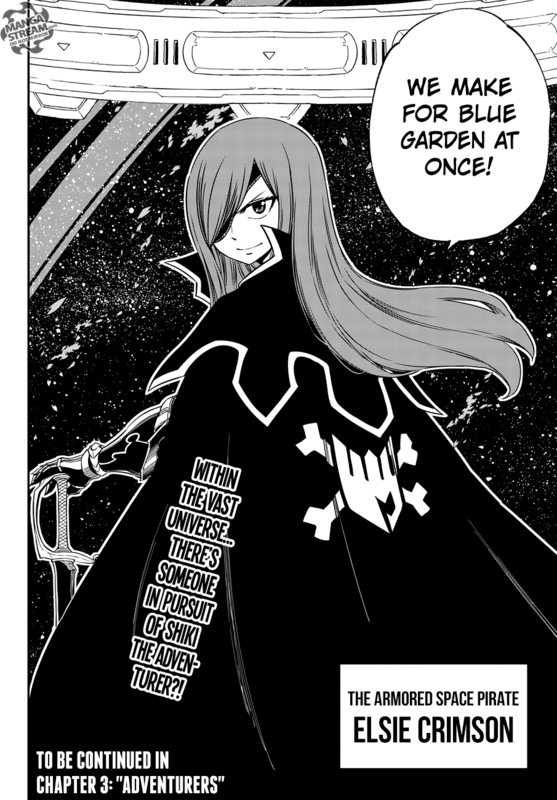 They plan on registering Shiki as an “adventurer,” which permits you to travel from planet to planet. Rebecca asks Shiki to be her bodyguard and he agrees. 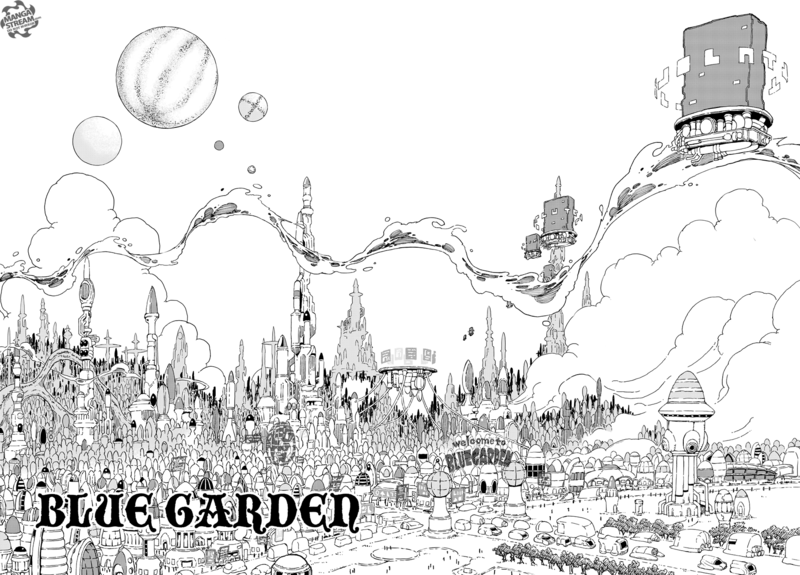 They arrive at Blue Garden, the planet of adventures. Shiki’s ignorance reveals himself as he thinks it’s appropriate to just touch the many humans he sees. As Rebecca explains that humans are ” good, bad and indifferent” a theft kidnaps Happy. Shiki gives chase, while, Rebecca remembers when she first meet Happy as a child. The kidnappers prove to be jackasses, Shiki begins to fight them as the leader pulls out a machine gun. During the commotion, the theft drops Happy and he’s freed. As Rebecca has another flashback, when see that Happy was injured in a vehicle accident. He then transforms into a pair of robotic like guns, that Rebecca uses against the thieves. Every shoot is a head shot with aether bullets. Turns out that Happy was turned into an android after his accident. 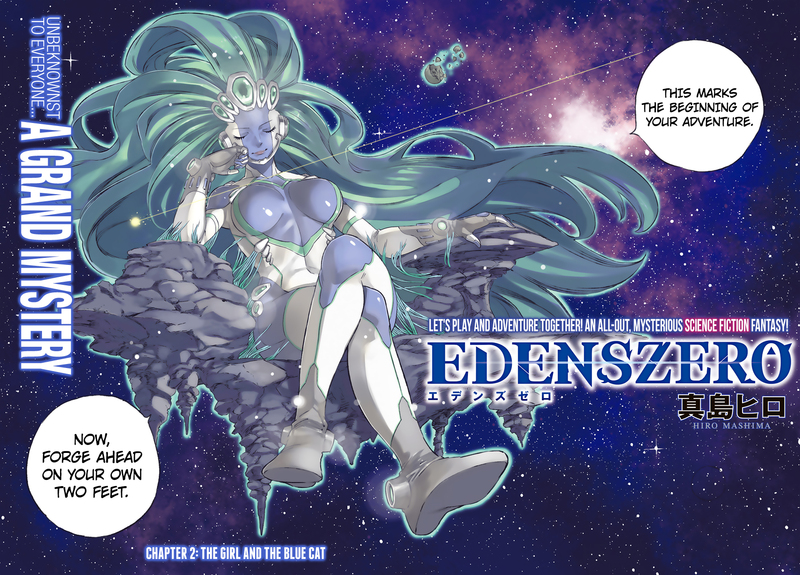 Finally, we see that Space Pirate Elise Crimson ( or space Ezra) has been alerted to Shiki’s presence on Blue Garden. This series still has too many similarities to Fairy Tail, but when I’m so certain that it’s going to be ordinary I’m surprised. 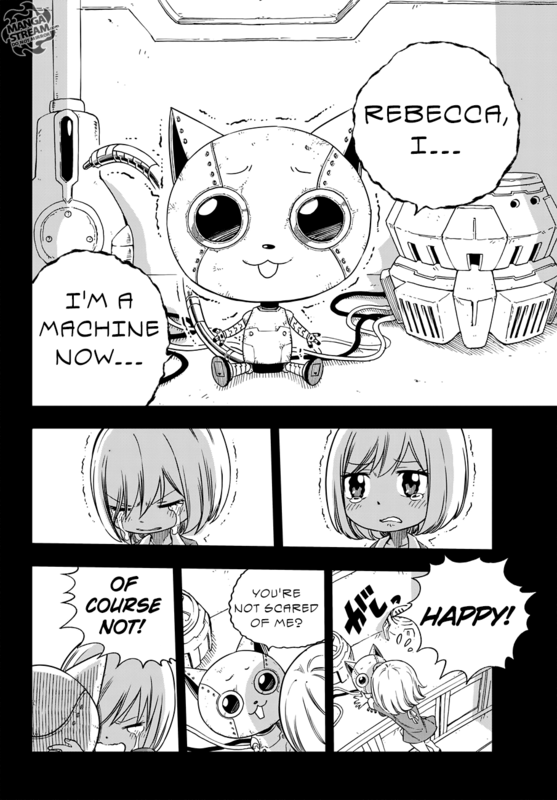 Happy being a robot wasn’t expected, and while it’s not the most shocked I’ve been reading manga, I was surprised. That can only be a good thing for a series that clearly has the same visually styling as it’s authors previous series.